Put good luck on your side with this dazzling plush unicorn as your friend. 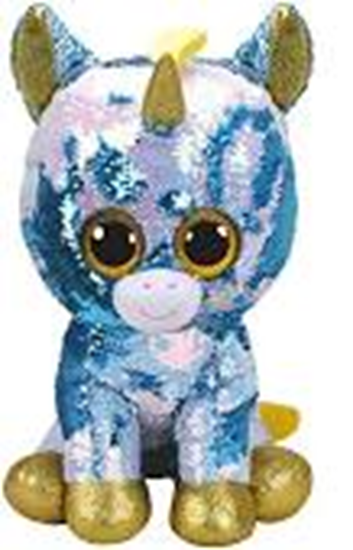 With hooves and horns of gold, the large stuffed animal changes from icy blue to glistening iridescent like magic when you brush your hand up and down across her reversible sequins. Dazzle is 17 inches tall and perfect for ages 3 and up.